Co-Founder + COO, Bluemercury, Inc.
Head of US Government Relations, Visa Inc.
With Bobby Thomson, Head of US Government Relations, Visa Inc.
Barry Beck, Co-Founder and Chief Operating Officer, Bluemercury, Inc.
As consumer habits shift and e-commerce takes a growing slice of the retail industry, traditional brick-and-mortar stores have been challenged to evolve and find new ways to appeal to customers. From in-store basketball courts to “magic mirrors” in fitting rooms, retailers are creating environments that not only generate sales, but also provide unique experiences for consumers. 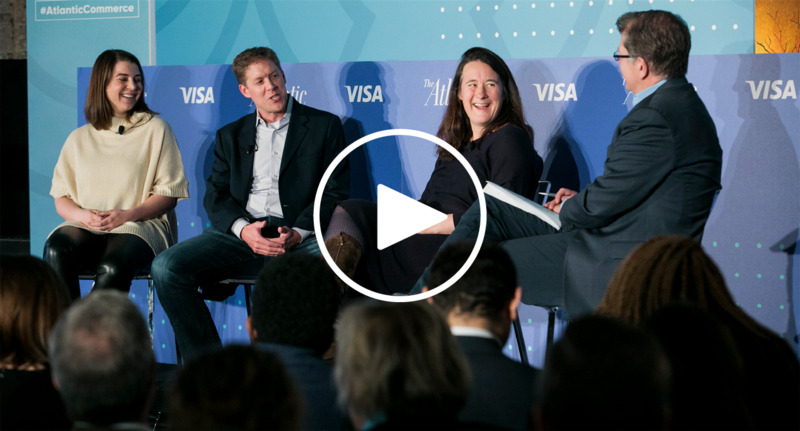 In a series of conversations, The Atlantic brought together leading stakeholders across industries, including business, government, technology and higher education, to explore the future of retail. As lines of code replace bricks and mortar, how are consumer habits changing the economy? From food to footwear, what does the future of retail look like and what does that mean for shoppers and shopkeepers? How has the mobile first mentality redefined the consumer experience?